FREE APPRAISAL. To buy, auction, sell or consign your Jack London Call of the Wild that is for sale, please email Nate@NateDSanders.com or call the Nate D. Sanders Auction House (http://www.NateDSanders.com) office at (310) 440-2982. 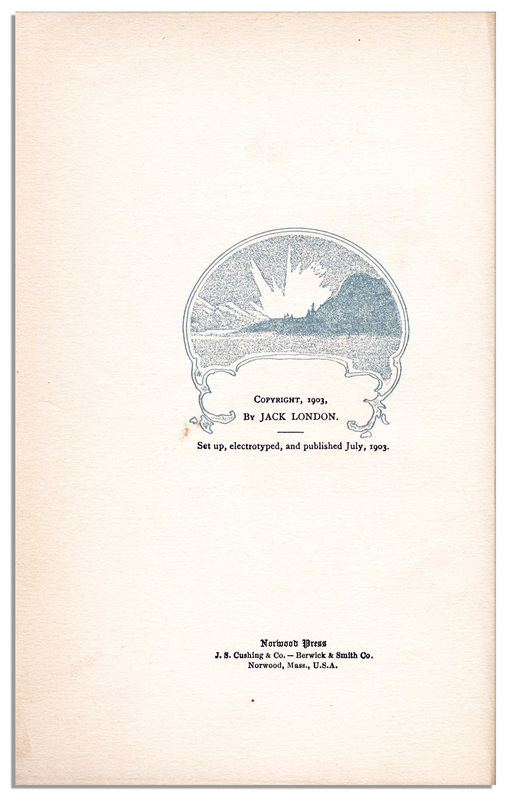 Top dollar obtained for your first edition copy of Jack London Call of the Wild. The Call of the Wild is one of Jack London’s most famous works. It takes place in the late 1890s in Yukon, Canada during the Klondike Gold Rush, a period when sled dogs were sought after. The novel revolves around the life of a dog name Buck who is used as a sled dog. The novel has been adapted into several films and star esteemed actors such as Clark Gable, Charlton Heston, and Bryan Cranston. The newest adaptation features Harrison Ford and is scheduled to be released in 2019. 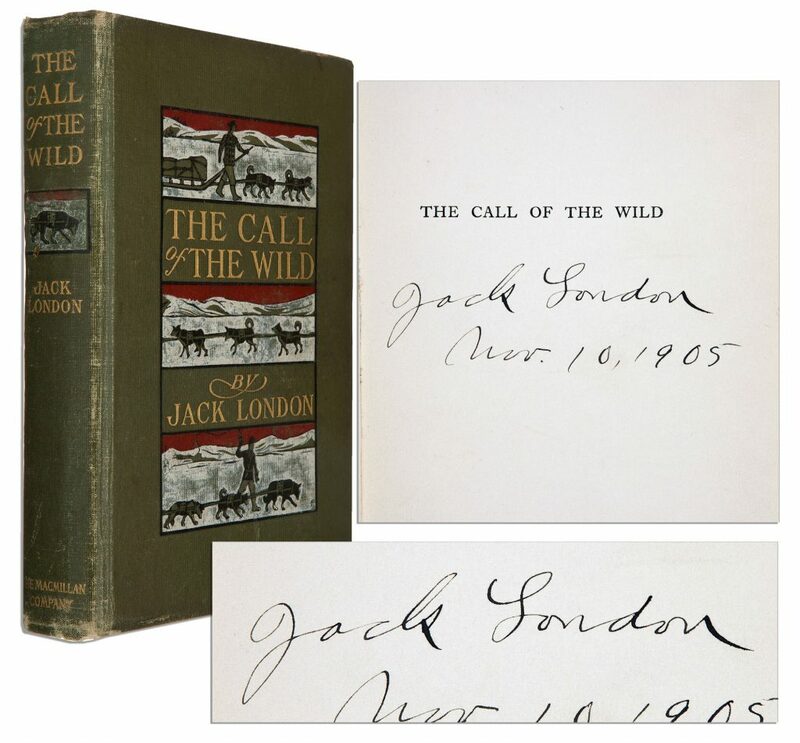 We recently sold a first edition signed copy of Jack London’s The Call of the Wild. See below for details. Jack London’s “Call of the Wild” First Edition Signed — Scarce. Sold for $3,305. 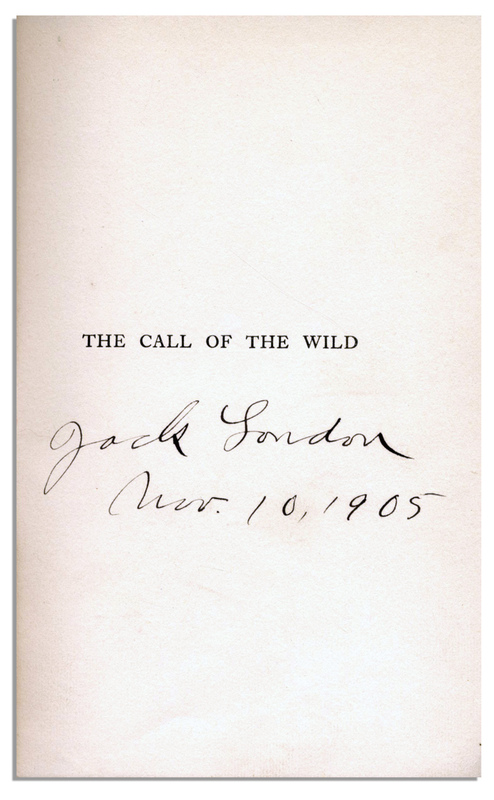 First edition of Jack London’s “The Call of the Wild,” signed and inscribed by the author on the half-title page, “Jack London / Nov. 10, 1905”. Macmillan Company: New York: 1903. Illustrated by Philip R. Goodwin and Charles Livingston Bull, with eleven full-page color plates, seven in blue functioning as chapter dividers, and numerous textual illustrations and illustrated endpapers. Bound in publisher’s green cloth boards with gilt, white, red and black stamping to the front cover and spine. Top edge gilt, other edges uncut. Light wear to the exterior boards. Both hinges cracked and holding by the mull cloth. Overall a very good copy of London’s first edition, rarely found signed by him. Jack London’s “Call of the Wild” First Edition Signed — Scarce. Click to enlarge. FREE APPRAISAL. To buy, auction, sell or consign your Jack London Call of the Wild that is for sale, please email Nate@NateDSanders.com or call the Nate D. Sanders Auction House (http://www.NateDSanders.com) office at (310) 440-2982.